Lego is introducing a new inverted tile piece. This seems like it will be very useful to MOC builders. Hopefully they extend the part family into other sizes. 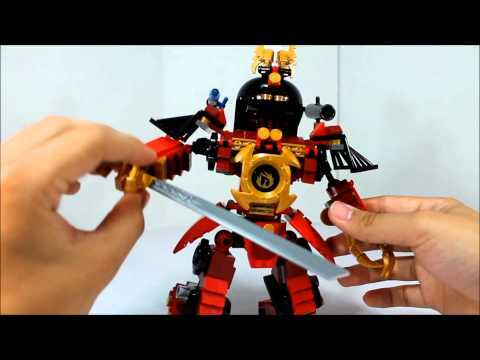 This was spotted by a youtube reviewer of a new Ninjago set. I always thought the Ninjago sets were too crazy looking so I was never tempted to buy any sets from the theme. But then my son and I started to watch the TV show, and now I am tempted to buy Samurai X. Thankfully, I still find most of the sets to be fairly ugly (especially most of the vehicles), but I thought I was safe from this theme. Plus, that inverted tile is cool. That would be good for some overhangs in buildings. I love it! Often I have found myself trying to come up with a similar solution. Particularly great for large plates that are mounted vertically. Now we can tile both sides to achieve a smooth and attractive finish. Hurrah! My SW blast doors shall look terrific from now on! That's so funny... with the new bits in the Marvel sets that's exactly what I was thinking they needed to come up with. Now you can have SNOT SNOB models!